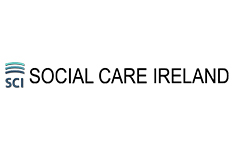 Please be advised that Social Care Ireland Conference Organising Committee have extended the deadline for abstract submission until 5pm, Thursday 19th January due to number of requests for extension. Social Care Ireland Conference Organising Committee welcome abstracts for consideration for presentation & workshops at Social Care Ireland Annual Conference 2017. The theme of next year’s Conference aims to capture the changing nature of social care practice, management and education, as well as the development of the social care profession. The deadline for abstract submission is 5pm, 19th January. Abstracts should be submitted to socialcareirelandconference@gmail.com. Please be advised that all abstracts must follow the guidelines for submission. These guidelines can be downloaded here. Abstracts not submitted in line with guidelines or late submissions will not be considered. The Committee are also seeking poster presentations relating to the Conference theme. These may related to practitioner research, critical review of literature and/or research informed reporting on practice issues. The deadline for submission of abstracts for poster presentation is 5pm on 26th January 2017. More details on poster presentation abstract submission will be made available shortly.